During his travels in Argentina, Blake Mycoskie, Founder of TOMS, was able to see all of the hardships faced by the young children that grew up without shoes. With a whole heart, Blake truly wanted to help the children. He created the brand TOMS, that would donate every shoe purchased with a new pair of shoes to a child in need. From shoes and handbags, to eyewear and coffee beans! 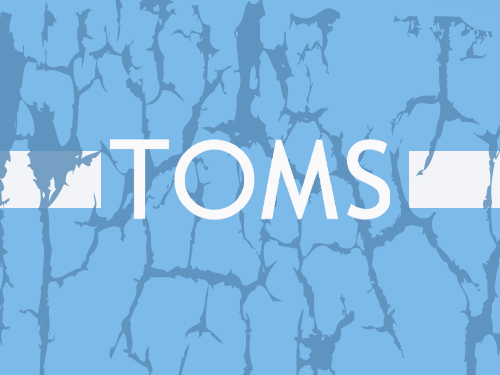 TOMS has truly evolved from a simple (yet amazing) idea, to a one of a kind business that continues to grow. You can spot a pair of TOMS a mile away thanks to its distinct look. Whether you’re wearing the classic canvas, tweed, mesh, or crochet style shoe, you’ll always be fashionable in a pair of TOMS.